Yanami Jouji, born Shirato Shigemitsu (白土繁満) on August 30, 1931 in Tokyo, is a veteran seiyuu. He is currently represented by Aoni Production. 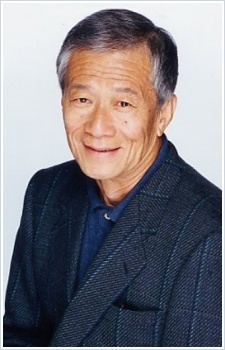 He is best known for the roles of Ban Chuuta (Kyojin no Hoshi), One of the San-Aku (Time Bokan Series), the Narrator and North Kaiou (Dragon Ball), Super Zeus (Bikkuriman) and Momen Ittan (GeGeGe no Kitarou). Delpower X Bakuhatsu Miracle Genki! People shouldn't judge his performance based on DBS, he was very sick at the time. Back in original Z his Kaio sounded like a wise powerful sage. Still waiting him for returning to voice Narrator and King Kai in Super, his Narrator and King Kai's voice are perfect but this is mostly will not happen. @AshExx Lol no he wasn't Muten Roshi's voice actor, he is just a replacement of Roshi's original voice actor for a 2 episodes of original DB because he is sick at that time. Don't be rude guys , his voice matches perfectly old men voices . MUTEN ROSHI-SAMA!!!!! To the people who said that he needs to retire... Well, he is indeed sick and cannot voice act properly, but still there are many veteran voice actors at his age (remember Ichiro Nagai "RIP". I hope he gets soon and have him again as the narrator and North Kaio in DBS!